Charleston, West Virginia paper The Charleston Gazette questioned the excessive military buildup under the Shah in an editorial published Wednesday, August 4, 1976. Most of Iran is situated on a 4,000 foot plateau surrounded by mountains. This lofty setting is providential. Otherwise during the last four years Iran might have sunk below sea level from the weight of U.S. purchased arms: $10 billion worth. Omar Kayyam would have difficulty enjoying that loaf of bread and jug of wine with his mistress: too many U.S. tanks running about the landscape. Why do Iran’s 36 million people need so vast a defense arsenal? That’s what the Senate Foreign Relations Committee would like to learn. Since 1972, the number of American military advisers and technicians stationed in Iran has jumped 8,000 to 24,000 — another source of worry to the committee. Unlike the Persian Empire Cyrus the Great and Darius fashioned years ago from Greece to India, today’s Iran can’t cope with the military system it has bought and is continuing to buy from the United States. Thus, by 1980, the committee estimates, 60,000 military specialists will be in Iran. As is the case in so many societies governed by despots, the likelihood of the military system’s being used, not to repel aggressors but to put down rebellion, must be faced. 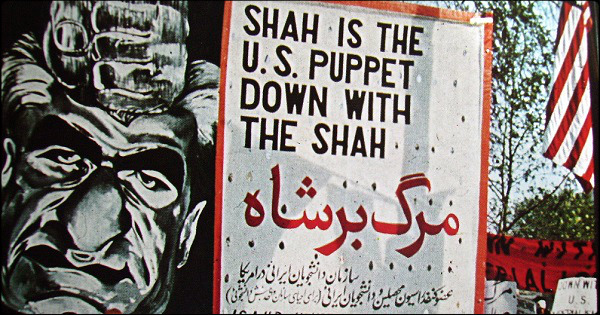 The shah of Iran isn’t celebrated for his democratic teachings and style of living, and torture has become a staple of his rule. Clearly someone should put a halt to this unholy, uncalled for selling. Since our arms manufacturers and Pentagon aren’t apt to, it will be up to Congress.